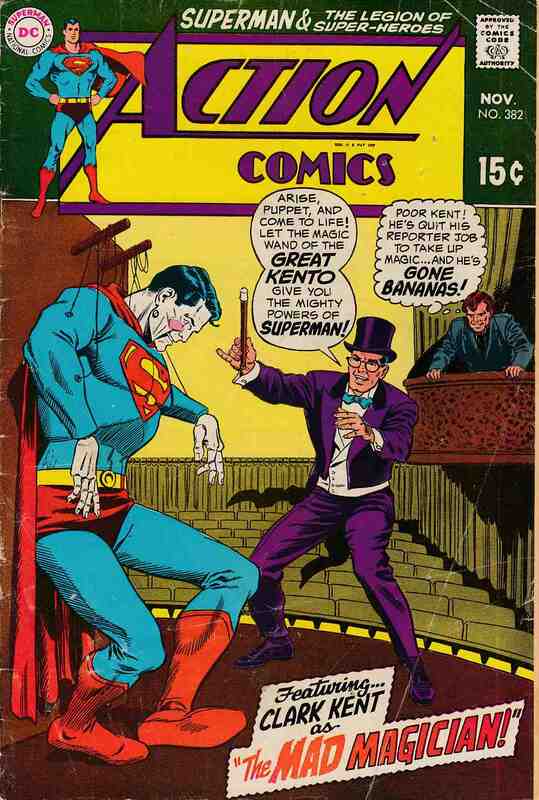 Superman stars in "Clark Kent, Magician!" (Pencils by Curt Swan.) Tales of the Legion of Super-Heroes back-up story, "Kill a Friend to Save a World!" Appearances by the Karate Kid, Light Lass, Shrinking Violet, Timber Wolf, and Ultra Boy. Swan cover pencils. *Grading Notes: cover detached at both staples. rusty staples and tape residue on first page along with some writing on top edge.